Soaking in the sights and sounds at Lhasa and visiting the iconic Potala Palace, the convoy then drove up to Shegar. Leaving the tarmac behind, the rugged SUVs took the less travelled path to Rongbuk Valley and then on to Tingri. A 100kms later, the convoy arrived at its destination - the Everest Base Camp. Long driving hours, battling mother nature, it all seemed worth it, seeing 25 vehicles parked against the backdrop of the world’s tallest mountain – Mount Everest. The view of the mighty Mount Chomolungma, as Everest is called in Tibetan, was breath-taking. This is a feat which pushed both man and machine to the limit. 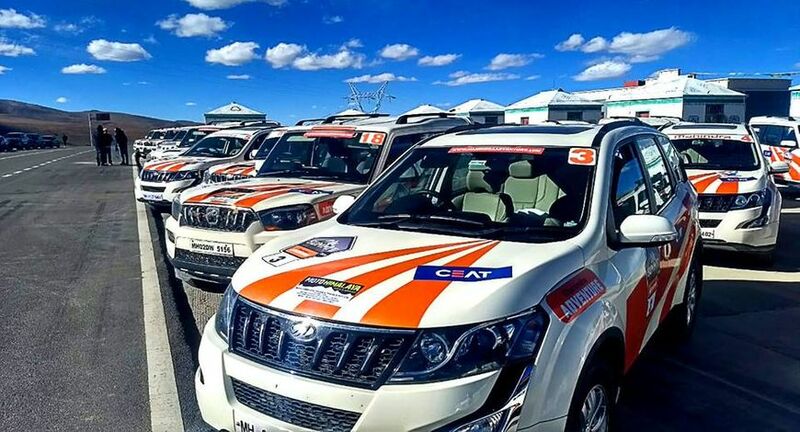 Not only did it showcase the tough and rugged DNA of Mahindra vehicles, but also the grit and enthusiasm of the participants.